An amusing, dynamic and unique way to discover the work of nature normally hidden for passers-by. 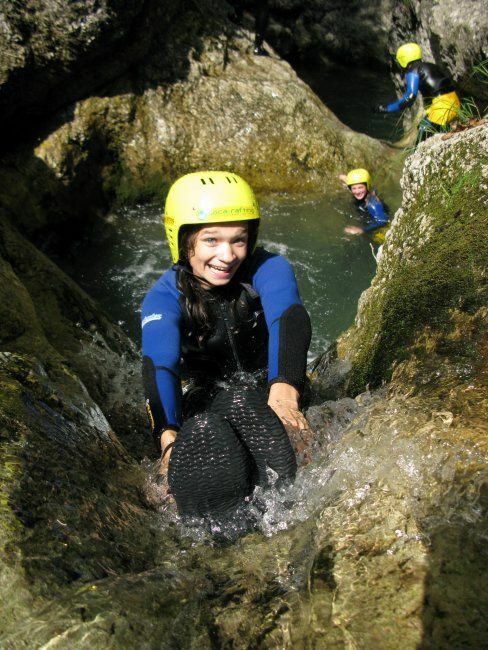 This adventure takes place in canyon Sušec, 8km from town Bovec, easy reachable. The lenght is 2km and the highest waterfall is 12m high. 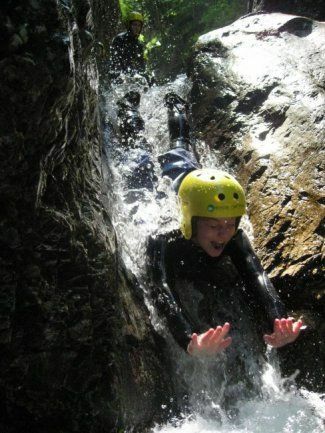 You will descend down the canyon, jump off small waterfalls into crystal clear water and slide down natural water slides.